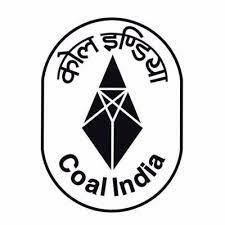 Coal India said that the company's board of directors has approved the buyback proposal of equity shares not exceeding 4.46 crore equity shares at Rs 235 per share for an aggregate consideration not exceeding Rs 1050 crore on a proportionate basis through the tender offer route. Coal India has fixed record date as 15 February 2019 for the purpose of ascertaining the eligibility of the shareholders to participate in the buyback. The announcement was made after market hours yesterday, 4 February 2019. Bharat Financial Inclusion yesterday assigned a pool of receivables of an aggregate value of Rs 751.19 crore to one of the largest private sector banks on a Direct Assignment basis as per the guidelines prescribed by the Reserve Bank of India. This is the seventh Direct Assignment transaction in FY19. The announcement was made after market hours yesterday, 4 February 2019. On a consolidated basis, Godrej Agrovet's net profit fell 17.45% to Rs 40.92 crore on 17.53% rise in total income to Rs 1462.27 crore in Q3 December 2018 over Q3 December 2017. The announcement was made after market hours yesterday, 4 February 2019. On a consolidated basis, SRF's net profit rose 26.28% to Rs 165.71 crore on 38.88% rise in total income to Rs 1969.26 crore in Q3 December 2018 over Q3 December 2017. The announcement was made after market hours yesterday, 4 February 2019. Future Retail's net profit rose 9.99% to Rs 201.43 crore on 12.99% rise in total income to Rs 5306.28 crore in Q3 December 2018 over Q3 December 2017.  The announcement was made after market hours yesterday, 4 February 2019.